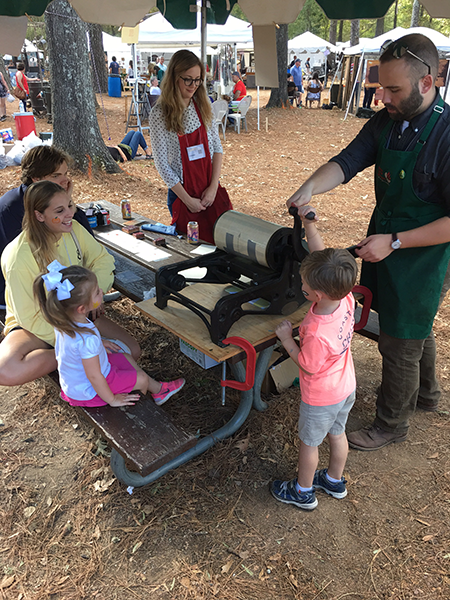 Book Arts student Kyle Clark printing Witt children at the annual Kentuck Festival of the Arts, Northport, Alabama. October 16, 2016. 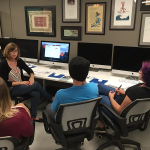 Michele Quinn, University of Alabama Press book designer, gives a terrific tutorial on InDesign for Book Art students September 6, 2016. Book arts students Charlie Westerink and Kyle Clark doing book work on a laser cutter in The University of Alabama Engineering. Frank Brannon is a book and paper artist living near Dillsboro in North Carolina. 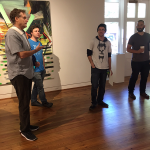 He is the proprietor of Speakeasy Press, located in Dillsboro, North Carolina. 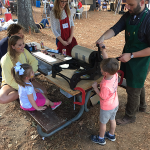 Book artist and papermaker Frank Brannon at the start of his sculptural papermaking session with UA papermakers.